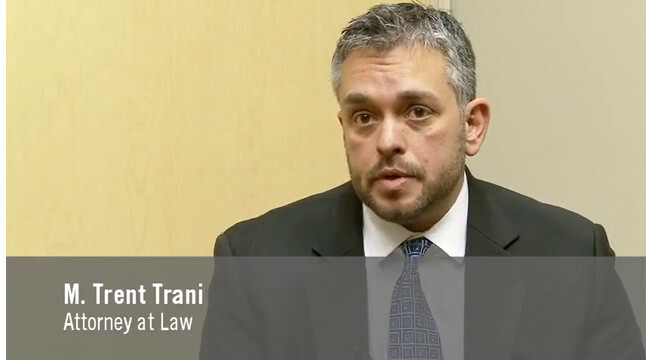 Denver Attorney | M. Trent Trani & Associates, P.C. M. Trent Trani & Associates, P.C. is a boutique law office located in Cherry Creek that serves clients throughout Colorado. Call us today for experienced & expert counsel. Welcome to M. Trent Trani & Associates, P.C., a boutique law firm dedicated to providing clients with the utmost in respect and service. We understand that you are coming to our firm at a time of great hardship. We make it our goal to ensure that you make it through this time with the best possible results. As a firm with well over 20 years of experience, we are prepared to offer you experienced and aggressive legal representation for any felony, misdemeanor or DUI matter in Denver or any other Colorado jurisdiction. Founding attorney Trent Trani has received a number of honors and accolades, including being named to the list of National Trial Lawyers: Top 100 Lawyers, demonstrating his capability to offer the top-quality representation clients need. The best criminal attorneys are those who have a vested interest in their clients' welfare. At M. Trent Trani & Associates, P.C., we understand that conviction can dramatically alter the course of your life, and we strive to see each of our clients' charges reduced or dismissed. Because our criminal defense lawyer has experience handling thousands of cases throughout Colorado, including numerous felony charges, we are qualified to advocate for clients accused of the most serious offenses. Get the best possible outcome for DUI and impaired driving charges with a team that has over 20 years experience in DUI defense. The police will lie to trick you into a confession. Talk to a criminal defense lawyer long before you talk to the police. Our legal team provides aggressive defense and compassionate counsel to each individual we represent. Let us help you defend your rights, your reputation and your future against allegations of domestic violence. We know how much is at stake.